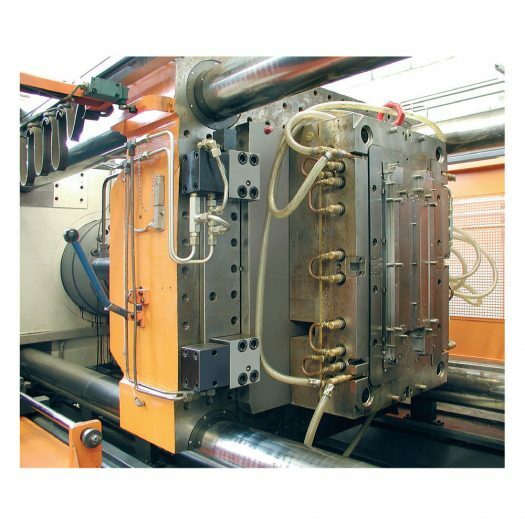 Double-acting wedge clamp for clamping dies on the press bed or slide or for clamping dies in injection molding machines. 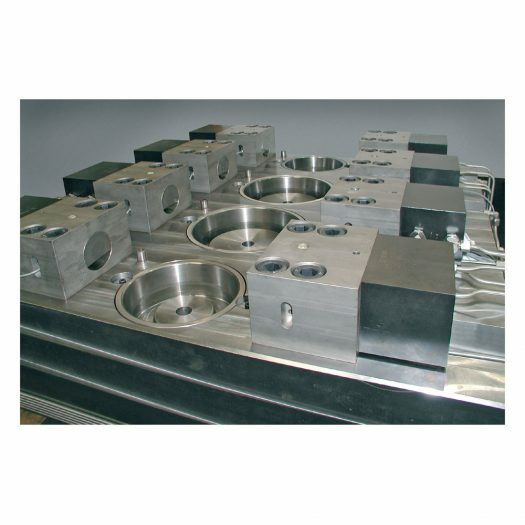 The wedge clamp consists of a hydraulic block cylinder and a two-piece thrust pad. Clamping cycle: the bolt with the thrust pad first performs a defined idle stroke. When the inner stop is reached, the thrust pad is lowered onto the clamping edge. The angle of the thrust pad has been determined to ensure that despite self-locking the oil pressure required for unclamping is not higher than that required for clamping. 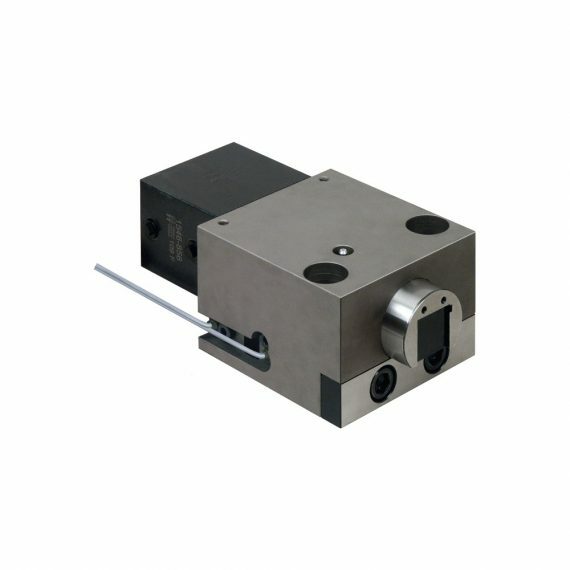 Since the clamping force is vertically transmitted to the clamping point, no transverse forces occur. 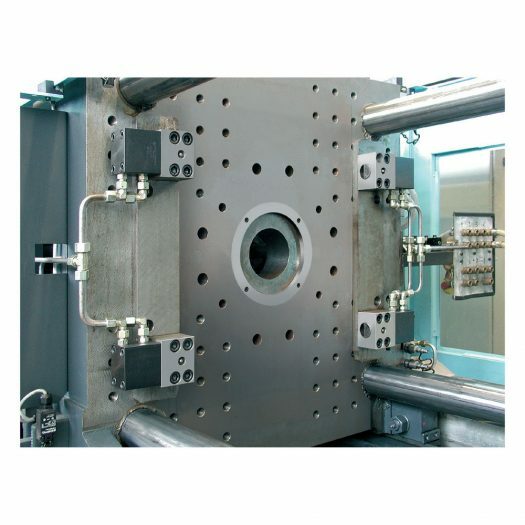 The wedge clamp is available with or without position monitoring.